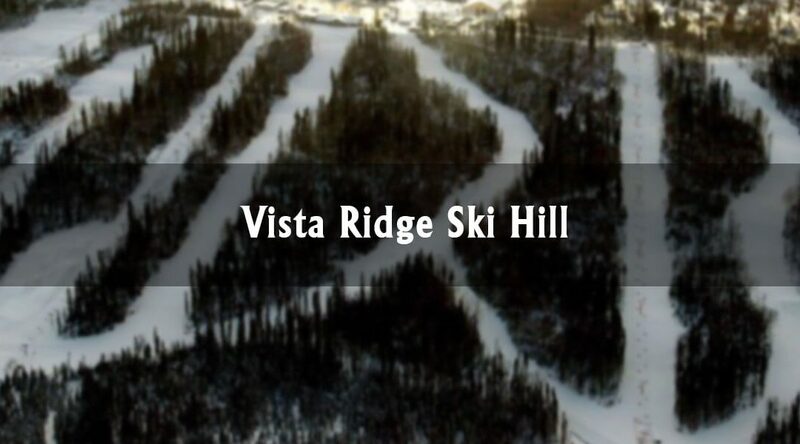 Fort McMurray residents don’t have to travel to Banff or Jasper to get the thrill of the downhill skiing experience, as Vista Ridge All Seasons Park is close to their doorsteps. When it first opened over 30 years ago, there was a single chairlift. Today, it offers outdoor adventures year-long at their facilities and structures. In the summer, guests can enjoy the Aerial Adventure Park, mini-putt and the skate park and playscape. And, the winter offers skiing, tubing and outdoor skating at the Hill. Vista Ridge is also home to the Fort McMurray Ski Team, which is organized by the Fort McMurray Competitive Ski Society. The Society was founded in 1985 to “offer a developmental program that encourages racers of all levels to strive for their goals and personal best in alpine skiing” and teaches young skiers aged five to 18 to ski race. According to the Fort McMurray Today, the Team recently held a four-day camp at Calgary’s Olympic Park to build on their ski and leadership skills. Program Director Rip Pridday shared it was important to have the skiers away from their home environment, so they could fully immerse themselves in the camp. The Team is currently encouraging others to join them with a “Try Out the Ski Team 3-Day Bundle” promotion. From January 2 to January 4, children aged 11 and under can receive the opportunity to learn what the ski team has to offer. Pre-requisites apply and the Vista Ridge lift passes are not included in the registration package. Based on the opinion of 249 guests, Vista Ridge receives a 4.6 out of 5 on their Facebook page. Ashley-Soks Ryan shared a 5-star recommendation stating her first-time experience was a memorable one. “My first time at Vista Ridge was this past weekend and we just stuck to the tube hill. We had the absolute best time and were so impressed with how well the entirety of the place was maintained,” she wrote. However, they said they are committed to maintaining the “excellent standards” they offer at their facilities and have opened the Lower Wilson Terrain Park, Tube Park and all Wilson lift runs, including the Luge. The Tube Park and Saprae Creek Outdoor Rink are preparing to open soon, which annually happens around the Christmas holiday season. Guests are asked to always call the Park in advance to check for operation status due to weather conditions. Call 780-799-SNOW to learn more and click here for Tube Park information available on their website.